The Society Against Sexual Orientation Discrimination (SASOD) is a human rights organisation and movement dedicated to achieving equality and justice for all Guyanese, especially those suffering discrimination based on their sexuality, gender, sexual orientation, gender identity and gender expression. 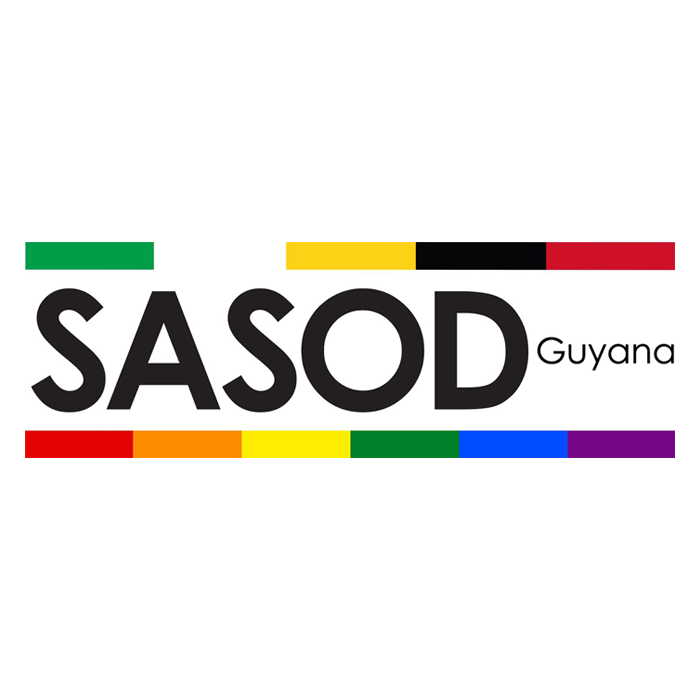 SASOD was formed in 2003 by young people as a progressive, student response to the public debates about including “sexual orientation” as grounds for discrimination in the Guyana constitution. SASOD’s programmatic work is aptly described as the three ‘H’ agenda: (1) challenging homophobia(s); (2) realizing human rights; and (3) promoting health. We do this through a number of actions, including policy and legal advocacy, lobbying, strategic litigation, human rights documentation, case work and research, socio-cultural initiatives, public education, community mobilisation, partnerships and alliance building, training and sensitization, legal support, referrals, commodities distribution and peer education. What is SASOD’s legislative agenda? SASOD wants ‘bad laws’ repealed. These are: (1) Section 351 to 353 of the Criminal Law (Offences) Act, Chapter 8:01, which criminalise sexual intimacy between consenting adult men in private. Section 153(1)(xlvii) of the Summary Jurisdiction (Offences) Act, Chapter 8:02, which criminalises cross-dressing. SASOD also wants laws enacted to protect lesbian, gay, bisexual and transgender (LGBT) Guyanese from discrimination. The Prevention of Discrimination Act, Chapter 99:09, should include sexual orientation and gender identity as grounds for discrimination in employment, training and recruitment. The Guyana constitution should also include sexual orientation and gender identity as grounds for discrimination. What is SASOD’s vision for Guyana? SASOD envisions a new Guyana, free from the ingrained prejudices of our colonial past. We want to live and build a nation where every citizen, regardless of their sexual orientation and gender identity, can live freely without fear of violence and discrimination, because of who they love. LGBT Guyanese are also entitled to equal protection of the law. Laws prohibiting discrimination based on sexual orientation and gender identity are necessary to achieve this right. LGBT Guyanese should also be included in all human and social development policies at national and community levels as a cross- cutting equality issue.